Are you looking for tickets to the Cartoon Network Hall of Game Awards? Do you want to be cast as part of the live audience? Well here is some information that may help you find those tickets you want. The Cartoon Network Hall of Game Awards is a high-energy show that honors your favorite sports stars and sports moments of the year. The event is for kids 10 to 14 and only kids will appear in the audience and maybe on camera. 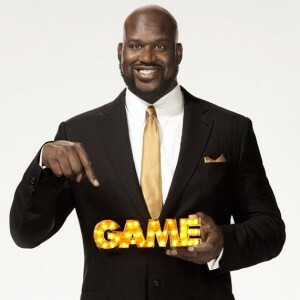 The Hall of Game Awards have been on air since 2011 and was hosted by Shaquille O’Neal last year. Shaquille O’Neal will also be hosting the 2013 show along with Nick Cannon. The Hall of Game Awards are a casted event for kids between the ages of 10 and 14. Parents will be separated from the kids during the show and there will be a holding area for parents to watch and supervise from, but the red carpet and pit will be just for the kids. The cartoon Network show is fan based and fans get to vote online for their favorite stars. Those votes get tallied and announced during the awards in February. Where are they going to put the hall of games? Hello My Name is Mia Reese and I love sports, volleyball, swimming, tennis, I also do gymnastics. How can me and my mom get tickets to the Hall of Game Awards Show?